The easiest and most efficient development tool for use with the MAQ®20 Modular Data Acquisition and Control System. The main screen of this out-of-the-box software shows a representation of the system including the communication module and all installed I/O modules. This graphic is updated as I/O modules are added to or removed from the system. ReDAQ® Shape for MAQ®20 software also provides the most effective way to configure and customize MAQ®20 functions for specific application requirements. 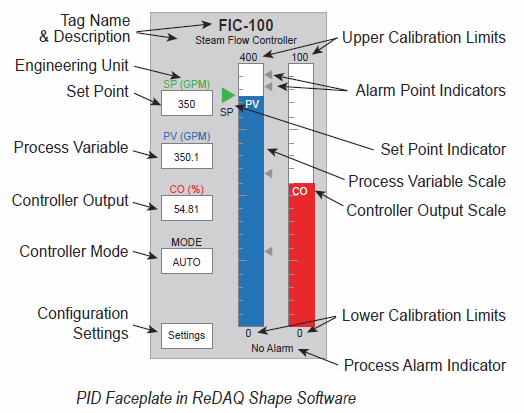 » Learn more about PID Controllers.